It’s been a little while since we’ve heard from Delinquente and his Oddio team (AKA Frederick Stevenson), and fair enough – it’s vintage. The fine folks at The Fruitful Pursuit have managed to coax him out of the winery though, for a special 20-seat gathering of like-minded folks at Alfred’s for the latest The Maker and Me event, this Tuesday, 26 March. “Part revolutionary, part scallywag, Greg Gregoriou will finally be joining us to pour the full gamut of Delinquente,” The Fruitful Pursuits Facebook event spruiks. 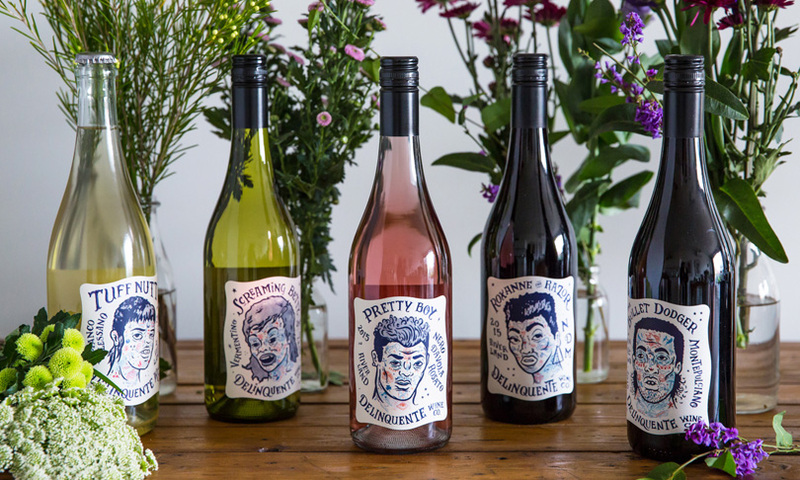 “The Hell Wines are Greg’s new line that use the most premium organic Riverland fruit he can source, while drawing upon a wider scope of varieties and winemaking techniques. These wines get a lot more love and time to develop than the usual nero d’avola, montepulciano and vermentino, which we’ll be looking at the current vintages of for comparison. Greg’s also bringing in some back vintages of the vermentino and bianco d’alessano pet nat for a cheeky mini-vertical or two,” The Fruitful Pursuit’s James Hopkins says. The fun kicks off at 6pm. Book a seat for you and your mates by contacting tfpthemakerandme@gmail.com.